330' Metcalf Ave frontage & 1292' deep in fast growing Blue Valley District. 10 Acres( 4.5 commercial & 5.5 agricultural). 2 Buildings, a 10 unit motel rented (weekly & monthly), a duplex & 30X50 metal barn. Buildings need TLC in need of remodel. Lots of space for additional buildings and to grow. Has good income. Bring offers! 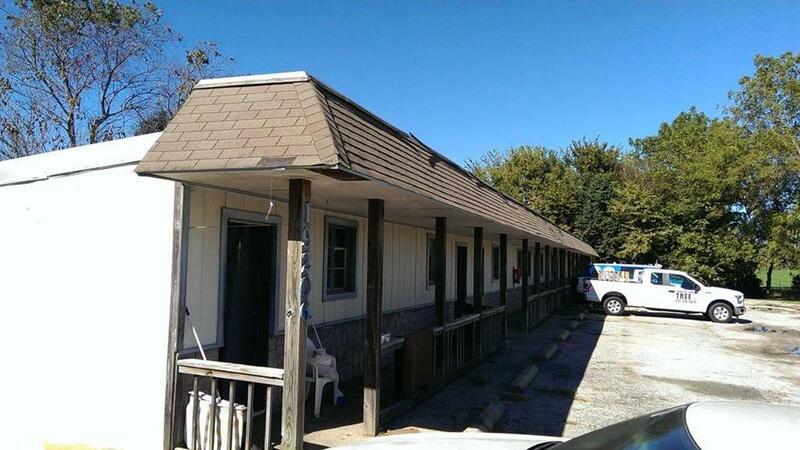 19206 metcalf Avenue (MLS #2151139) is a commercial listing located in Stilwell, KS. This property was listed on 03/01/2019 and has been priced for sale at $695,000. Nearby zip codes are 64012, 66013, 66062, 66083 and 66221. This property neighbors other cities such as Bucyrus, Macks Creek, Overland Park, Spring Hill and Stanley.